El Noi de la Mare “The Child of the Mother,” arranged by Miguel Llobet (1878–1938), from Canciones populares Catalanas. Late Intermediate (Grade 7) level. 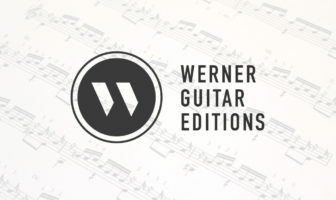 Free Notation Edition or Notes + TAB Edition. YouTube Performance and Lesson Link (4k). El Noi de la Mare was popularized in the guitar world by Andrés Segovia who frequently performed Miguel Llobet’s guitar transcription as an encore. The piece is from Llobet’s collection of Catalan folk songs. It’s all about melody in this one. It’s playable for intermediates but beware of tricky chord shapes, stretches, and shifts despite the slow tempo. FYI, many performers play a G# on the 3rd beat of bar 4 despite the original being a G natural. You can also find the tab as a hardcopy in my Classical Guitar Tab book on Amazon. Join the Email Newsletter to get music updates or visit the sheet music page. Please consider supporting the site to keep the free sheet music coming. By Kyuhee Park on YouTube. Great lesson on a beautiful piece! Thank you. I just started learning it with the help of your video and article. PS. You have one typo in your article. In your comment about the G#, you said “E7 (V chord of the Am that follows”. That should be A major not A minor.